My current bike just hit 70,000 km, and both the fact that I love it and it’s running well and budgetary concerns mean I’ll most likely end up keeping it for at least another 2-3 years. I’m averaging about 25,000 km a year, so that’ll get it well over the 100,000 mark, but I still reckon I should be able to get at least $2-3,000 for it then, and I only paid $4,700 for it, a year or so ago, so 3-4 years riding for under $3,000 is an absolute bargain. But still, it’s nice to dream! People have suggested I get something completely different for my next bike, just for variety… but I think I’d really miss the upright seating position and the lazy power. It just perfectly suits what I use a bike for. So here are three contenders, all in a fairly similar class to my current bike, or at least with similar characteristics. None of them are new now, and in another 3 years they’ll be less so, which will enable me to put into practice my avowed policy of buying a few years old and letting someone else take the big depreciation hit on a new bike. That’s how you get years of happy motoring for less than a lot of people are paying for their yearly insurance! This is the model that replaced my current Bandit 1200S. The updated version features a liquid-cooled motor rather than the air/oil cooled one I have, and although it has a higher capacity has a little less power. But still most of the same goodnesses of the current bike… just not as old. It’s also the budget choice: the one I linked is 3 years old and about 8 grand, so I’d be looking at similar numbers to what I paid for my current bike in another 3 years. And the nice thing is, it wouldn’t be ‘settling’ for the cheapie… I really like my Bandit! The ‘B’ in B-King originally stood for ‘boost’, because the concept bike it was based on was supercharged. That was just silliness: it already shares a motor with the Hayabusa, for some time the fastest road bike in the world, and supercharging it just took it to cartoonish realms of power… which may have been fitting given the way it looks. But I guess now it kind stands for ‘beast’: this thing is still mental in terms of power, grunt and go. It’s a logical step up from the Bandit, and for that reason is probably my fave of the three mentioned here. 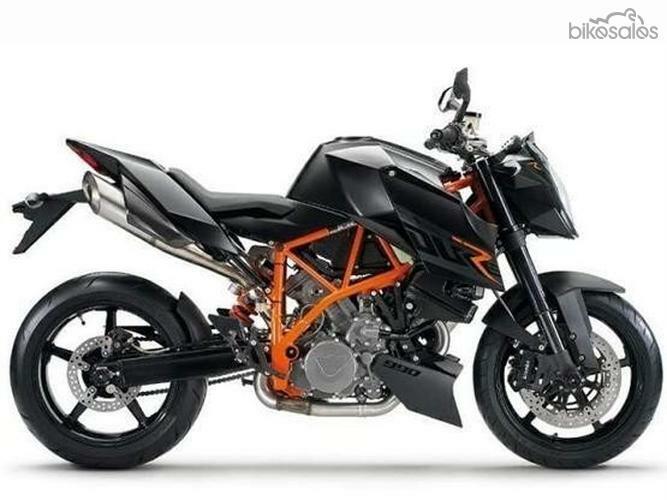 Price-wise it’s similar to the Superduke, and being a new model in the past couple of years we haven’t seen what it’ll drop to, but I reckon if I can scrape together 8 grand instead of 5 I can probably pick one up in a couple of years. By all means feel free to suggest alternatives… or to share your own dreams. As you may have noticed, there’s an unobtrusive category system with posts on this blog, that can be used to search for posts on particular topics. It’s not unusual for posts to have a couple of codes, and there are common combinations, like ‘Science’ and ‘Teaching’ (and, unfortunately, ‘Politics’ and ‘Religion’), that occur a fair bit. But today’s post is in the ‘Bike Stuff’ and ‘Teaching’ categories, which might not be unprecedented but is pretty unusual. I talked in this post a couple of weeks ago about the state of ‘distributed awareness’ I enter when riding the bike (though that wasn’t really the focus of the post). But as I was talking to Mike, one of the PhD students I’m supervising, yesterday, I realised that the same kind of thing happens in the classroom. Experienced teachers are not really looking at one specific thing in the classroom all the time, though they can focus in when necessary. Instead, they are in the same kind of ‘distributed awareness’ space, and that allows them to be aware of everything that’s going on in the classroom – even things they can’t directly see, via disturbances in the patterns – so that they can make in-the-moment professional judgements about what most urgently needs their attention. It’s something that beginning teachers don’t have automatically, although like most things some have more natural talent and others have to work harder to develop it. Maybe I should do some research on motorcycling teachers and see whether they’re better at it! It’s funny – talk to most people who don’t ride, and they’re convinced that it’s basically a death sentence in fairly short order. They’re wrong, but it got me thinking about why I choose to ride. And of course there are other reasons to ride, like parking for $100 a year, right next to my building at work, vs parking for $100 a month half a km away and having to circle for half an hour to find a spot. And like filling up with fuel for $15. But one reason I haven’t heard talked about all that much is that it converts the meaning of commuting. If you commute in the car, it’s something you’re doing for the sole purpose of getting to work. That means that that time belongs to your boss, because you’re doing it only in order to work. But when we commute on the bike, the ride belongs to us. Heck, we ride on the weekend, for fun, because we enjoy it. So the ride to work is something we do for its own sake, for our own enjoyment. So we have reclaimed that time for ourselves. I started out mostly thinking about it in relation to bike riders, and the things drivers do to them. For some reason on one particular trip home last week people pulled out in front of me 3 times. I had my lights on as usual, was doing everything the same as usual – just one of those odd statistical clusters, I guess. The final one, just before home, was close enough to double my heart rate. And then on the way home yesterday I split past a truck and he yelled ‘Oh, you idiot’ out his window as I went past. In that last case I just gave him a cheery wave and rode on. I could have given him a different sort of gesture, but I do tend to think that the more birds you set free in the world, the more you get back! And he was in a truck and I’m on a bike – enraging him is probably not a particularly smart survival move. I was also thinking about it because one of the riders who posts on the Netrider forum had had a taxi pull out on him without indicating. He stopped and got off the bike to go and have a few words with the taxi driver when the opportunity presented itself – and almost got done for assault by the cops who magically appeared. And having got off the bike, he’d kind of left himself open to it. I’m not talking about karma in any mystical sense, and I apologise to any Hindu or Buddhist readers who think I’m just appropriating an idea. I’m talking about it more as the simple operation of cause and effect. I could remonstrate with someone who pulls out in front of me without looking, but yelling at them is only going to lead to conflict, and the potential of me getting beaten up or arrested or my bike damaged. Not to mention stressing me out. But really, if they have the consistent habit of pulling out without looking, then sooner or later it won’t be a bike they’re in front of but another car, or a truck. Then I hope the other driver is as alert as me, and all the puller-outer gets is enough of a scare to remind them to be more careful. So karma takes care of it – people who are consistently pleasant will, on average (but not always) find other people to be more pleasant in return, while people who are agressive will encounter aggression – and eventually it will be from someone bigger or tougher than them. People who drive carelessly will keep driving carelessly – and encounter the consequences. I do like the core concept of ‘karma’, at least as Wikipedia describes it – we’re each responsible for our own lives and our own actions. If we consciously take that to heart – being responsible for acting in good ways in the world, and not worrying too much about correcting others’ actions – it seems to me that the world would be a better place. So on the bike or wherever else – let karma take care of it. If a human cop detects someone speeding, using a hand-held or car-mounted radar, he or she has some discretion about what to do. A judgement is made about whether the speeding is dangerous enough to pursue, about whether to issue a fine or a caution, about any mitigating circumstances, and so on. A speed camera has none of that discretion: if it detects you exceeding the speed limit, you get the fine. Some people would suggest that that’s fairer – it’s pure and objective, and doesn’t rely on whether the police officer had a fight with his partner over breakfast, or had a great night last night. But in other ways it’s a scam: you have the option of just paying the fine or of going to court. Going to court is going to cost you work time and hassle, and have the risk of getting costs recorded against you in addition to the original fine. So most people just have to cop it sweet and pay the fine – and by doing so, automatically agree that they were speeding and to that going on their record. It’s just too hard to contest it. So even if there were factors in mitigation, you end up just paying the fine because it’s too much hassle to do otherwise. The speed limit is there to increase safety, right? That’s its purpose. It’s not put there for revenue raising, or arbitrarily. Its job is to reduce the number and severity of crashes. So when overtaking, is it safer to whip around fairly quickly and get back onto the safe side of the road, even if in doing so your speed briefly spikes above the limit? Or is it safer to sit for ages in the on-coming traffic lane when overtaking, in order to avoid going over the limit? See, a human officer can understand that logic. S/he may or may not agree with it, and may still issue the fine, but the thought process is there. That’s what we lose when we give up our road safety to speed cameras. Well, that plus the ability to detect all sorts of other offences. A speed camera can only catch speeders. But it’s not speeding that causes the vast majority of accidents, it’s other things like failing to look, failing to indicate, driving while distracted by the phone or something else, drink driving and a heap of other things. A patrol officer can attend to all of those things. A speed camera can’t. Picked up my bike this morning (the financial stuff did end up all falling into place), and it’s AWESOME!!! So smooth, so powerful, so enjoyable. So it’s a bit of a dilemma, that way – lovely, healthy big fast bike begging to do what it does best, vs Mr Plod behind every tree with his little radar gun and notepad. Well, the bike may not get well (yet) after all. Due to a variety of different financial issues, including the continued non-arrival of my tax refund, I may end up not having the cash to get it done. Still running around crazily trying to make it happen, but it’s looking grim. I’ve been waiting a couple of months to put my bike in for a service. It’s going to be $600-800 for a major service, plus it’s in desperate need of new sprockets and a chain, so I’m looking at $1200 or so in total. I’d hoped to use my tax refund, but that’s taken months and months to organise, and still hasn’t arrived. It should be here in the next couple of weeks, but it was meant to be a 50,000 km service and it’s now pushing 53,000 km. The worst problem is with the chain – the guy who owned it before me put a cheap one on, and the torque of the mighty Bandit stretched it terribly. So some parts of it are very loose and others very tight. You can’t make it too tight or it will cause damage, so it ends up being loose and very loose – which can also cause damage. I’ve had to keep riding it because I need the transport, but it’s been vibrating through the footpegs and making funny noises, and so acceleration is accompanied by a wince rather than exhilaration. It’s taken a lot of the pleasure out of riding. It got to the point yesterday when I decided it was just too nasty to ride any more, so I came to work by bus today, and will until the bike is fixed. Anyway, we ended up getting a personal loan to consolidate some various credit card debts – keeping our total indebtedness level constant but making it closed-ended with a personal loan rather than open-ended with credit cards, and reducing the monthly payments to free up some cash. As part of that we borrowed an extra $1200 or so to pay off the orthodontist for Alex’s braces. So the plan is to misappropriate that money and fix the bike, then pay off the orthodontist when my tax return arrives. High finance! But the bike is booked in for some TLC next Wednesday, and riding it will be a new experience after that. Still kind of desultorily looking around for a bike for Suzie. We can’t really afford one just yet, but if we move house (if the new job comes through – still no news) it might make her commute a lot easier. Besides, it’s fun to look. She has to ride a 250 for the first year, and isn’t all that tall, so she’d been looking at various ‘cruiser’ style bikes like the Yamaha Virago, the Honda VT250 and the Suzuki VN250. None of those are particularly good on a freeway, though, and there might be some freeway involved, depending where we end up. Someone said it on the bike forum the other day: “Everyone faster than me is an idiot, everyone slower than me is a moron”. He was summarising the fact that we each have our own comfort zones in terms of how we like to ride… and we often see posts on the forum about how ‘this idiot went past me today at a million miles an hour on the back wheel’ or ‘this moron held me up all the way through the twisties riding like a grandma’. I know I’m sometimes guilty of it – I do stuff like splitting up between lanes of traffic and sometimes letting the big Bandit launch at 30% power instead of its usual 10% (which means I see 100 km/h very soon indeed). I’m sure I sometimes have people shaking their heads at my ‘wild riding’, but to myself I’m a very careful and cautious rider. And I certainly sometimes shake my head when I see people heading up the breakdown lane at speed, splitting at 60 km/h past stationary cars or speeding (more than I do ;)). So part of me thinks it’s all relative – and I imagine you’ve figured out by now I’m not just talking about motorbikes. I also have my standards for things like using the Internet for my own amusement on company time and using the company fax for personal business… which I think are fair and reasonable, but I’m sure other people have quite different boundaries on those things. I have limits on the books I’ll read and the music I’ll listen to and the movies I’ll watch – but similarly there are others with much tighter limits… and probably those with no limits. So is everything relative, or are there absolutes? Is there riding that is objectively immoral, or just shades of safety? Are rigid standards sustainable, or does everyone sit somewhere along the continuum, and some just happen to regard their personal location as the heart of ethical and moral rectitude? So with today being the Labor Day holiday (tip of the hat to those who got us the working conditions we enjoy, tip of the middle finger to those trying to erode them), I sat around the house in the morning, posted on Netrider, worked on building a web site for the wife’s budding MS Office training business and then had a nap because I was feeling a bit crook – just a headache and a fever. Got up and went to get back into the web development, but it was *another* magic Queensland autumn day, so I fired up the big Bandit and went out for a ride. Headed east from home along Moggill Road – nice to not be held up by the roadworks at Pullenvale for a change – then south down Centenary Highway. Being a public holiday the police presence was massive everywhere, but I was basically just out for a sunny afternoon cruise, and going easy, so I just nodded and smiled at each of the half-dozen hairdryer-pointers I passed in the course of the ride. Headed on down Centenary as far as Springfield, then onto the Augusta Parkway up toward Ipswich. This is normally a lovely curvy little bit of road through the bush, but unbeknown to me they’ve decided to duplicate it, which meant it was 60 and 40 limits for roadworks along its whole length. I’d intended to just come through Ipswich and then back around Mt Crosby Road and Moggill Road to close the loop, but sitting on 60 for all those ks (behind another bike out for a ride as it happened) had given me the need for speed, so I took a left at the Cunningham Highway instead and cruised out to Yamanto. Stopped at Maccas for some nuggets and a large Diet Coke then headed back in to Ipswich and home. Got one small scare on the roundabout off the Warrego Highway going toward Karalee there – took it at what I thought was a reasonable pace, forgetting how crappy and bumpy it is. A big bump tossed me off my line and into the gravel that had been swept to the outside of the roundabout. Not really where you want to be on a 340 kg bike + rider package well heeled over… but I just swore quietly to myself inside the helmet and remained very calm. No sudden braking, leaning, throttle roll-offs or anything else, just kept it smooth and rode it out and all was good. Truly, there’s no such thing as a bad day out on the bike. And at less than half a tank of juice, it’s cheaper than a movie, and way more fun and healthy. Add plenty of good sunlight and outdoor air to combat depression, and why would you spend your holiday afternoon doing anything else? The little GSX400F sold today, for 3 grand, so I’m back to just the one bike, thank goodness. The money from the sale was meant to go back into our sharemarket account, where the money for the new Bandit came from, but will probably have to be used to just catch up on a few other things and provide a bit of a buffer for our investment property, which is chewing a big hole in our disposable income at the moment. I’d paid $2,500 for the 400, so I guess you could say I made a profit on it – except that i also spent $1700 fixing it while I owned it! And the best part of $500 getting it ready to sell. My own silly fault for buying something on eBay without getting it mechanically checked before plunking the money down. Didn’t make that mistake this time and should do a lot better with the new bike over the course of its life. I was pretty impressed with myself yesterday, actually. The roadworthiness inspection for the sale found that the rear brake disc was worn too thin and had to be replaced. Despite the dire warnings on the packaging of the replacement disc about not installing it unless you were a qualified mechanic, I managed to pull the back wheel off and replace the disc and pads and get it all back together and working perfectly in well under an hour. Of course, I’d be in big trouble with The Boss if I even hinted at looking at another bike so soon after buying the Bandit – and the Bandit is absolutely awesome and still the best possible bike for everything I need. In Dickens’ classic novel, the orphan Oliver Twist finishes his meager serving of gruel at the orphanage and has the temerity to ask “Please sir, may I have some more?” From memory he gets his ears boxed for his trouble. Almost stationary in traffic? 0-100 km/h in about 3.5 seconds means you’re outta there the second there’s a gap. Overtaking at 80? Better keep an eye on the speedo ‘cos a buck fifty comes up much too easy. The buck-twenty to buck-sixty roll-on will still pin ya ears back and take a couple of seconds… and beyond there I haven’t explored, but backing off knowing there’s another 80 km/h in reserve is nice. ‘More’ continues to be the theme everywhere. Haven’t wheelied it intentionally yet, but had the front wheel skipping a couple of times on take-offs that were well short of 100%, so it’s very easy to see how attainable it would be from a roll-on in first or second. It’s also completely happy to putt along at 20 or to stop and start, although a heavyish hydraulic clutch means I’m kicking it into neutral at lights more often than I’m used to (after checking the mirrors and making sure I’m buffered). The gearbox is… well, ‘positive’ is a good word. It engages with more of a clunk than a snick, but in a good way… although pussyfooting around with changing into first on the move can sound pretty graunchy. As you can see, significant torque virtually from 2 grand: grunt-monster! The effect of the bike over all is kinda stealthy (apart from the pipe) – it’s pretty calm looking, no big fairings or wild graphics or whatever, pretty mellow seating position and so on. Quite happy to cruise along with the traffic – but twist the wrist and all pretense disappears. Handles the pillion (The Boss, aka Mrs Bravus) very nicely. I don’t mention it to her too much, but I can flat-foot it with both of us on, while I’m balls-only (erm, of feet) when I’m on the bike by myself. I’m 173 cm/5’8″, and with the height and weight (people think of it as a big heavy bike, and in a way it is, but it only weighs the same as the current GSX650F – about 240 kg wet) this is probably not the bike for someone much shorter than me. After a bit of a tweak (toughening up the back and softening the front a bit) from Dirty TRiX on the weekend it’s handling the bumpy corners better, tracking the bumps rather than bouncing a bit. Might stiffen the back up one notch further, since most of the time is spent with a pillion – the stiffening so far has not made it unmanagable or uncomfortable solo. Need to borrow or buy a C-spanner: it’s the one thing missing from the otherwise very complete underseat toolkit. While we’re in that area, plenty of underseat storage for rain gear or a spot of lunch. Brakes are excellent: quite soft to pull but heaps of feel and power. It’s easy to see how these bikes can pop the back in the air as well as the front. The bike handles well – took a while to get used to the extra commitment needed to throw something taller and heavier into the corners the way I was used to flicking the little, light 400, but that was me holding the bike back rather than vice versa. Big rubber both ends with limited chicken strips, and just a heap of fun. Reminding myself not to get onto it too hard when launching out of corners is still necessary. I bought it with Battlaxes both ends, and they seem to be getting the job done, though I may look at something a bit sportier but dual compound when those wear out. I have a rack and sack on the bike that is big enough to hold a helmet, so The Boss rides in with me with her book bag in the sack, then swaps it for the helmet when she gets off. That means if I need to pick up the teens or do anything else during the day I have helmet, gloves and jacket handy. Seating position is quite straight, although I rolled the bars back a fraction to lower them because it just felt a bit *too* cruiser-like. I really noticed how far back the pegs on the GSXF were by comparison when I got back on it – these are pretty much straight down. I don’t get tired or get a sore back or wrists at all, and it feels like it would work well as a medium-range tourer. Would work well for someone whose back gets sore in a sportier position but who isn’t quite ready to move on to a cruiser. The screen I have on the bike is quite small – much smaller than that on the later 1200S, one of which I sometimes park next to at work. If I was going to do long distance touring I’d look into putting a bigger one on, but at legal and quasi-legal freeway speeds the buffeting is fairly limited even with the small screen. There’s a reasonable amount of vibration at different revs, though not annoyingly much. I do need to shake some feeling back into the right hand sometimes after a long splitting session, though that’s probably as much due to a high state of alertness as to the vibration. I bought it mainly because I wanted something bigger and faster and more powerful that was also comfortable for daily pillioning… and because I didn’t want a ‘real’ tourer like an ST or a GTR or one of the big Beemers. Honestly, it’s hard to think of anything else out there that suits my particular set of needs and tastes as well that I could buy, even with a much bigger budget. So, pretty much the perfect bike for me, in immaculate nick, with under 50,000 km on the clock, for well under 5 grand. Hard to go past for anyone whose circumstances are similar to mine. Check out this fully working and powerful electric motocross bike. Just too cool, and a great indication of where things might go. Charge it with renewable power and all sorts of things are possible.